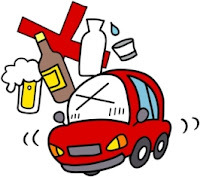 Legally there are two classifications for driving under the influence of alcohol in Japan: 酒気帯び運転 (shuki obi unten) and the more serious 酒酔い運転 (sake yoi unten). Here's the TL;DR: Japan's drunk driving laws are strict. In many cases, a driver's license can be suspended or revoked based on the amount of alcohol consumed in a single can of beer. If your breath alcohol content (BrAC) is over 0.15 mg/L (a blood alcohol content, or BAC, of about 0.03%*), it is a 13 point offence. If your BrAC is over 0.25 mg/L (a BAC of about 0.05%), it is a 25 point offence. Assuming you had a spot-free driving record beforehand, a lone charge of 酒気帯び運転 (0.15 mg/L), or 13 points, would suspend your license for 90 days. If you had any other infractions within the last calendar year, a charge of 酒気帯び運転 by itself is enough for your license to be revoked. The charge can of course be, and often is, compounded with other charges. Driving without a seat belt, driving without a license on your person, expired vehicle registration, running a red light, making an illegal turn, improper passing, failure to use turn signals, and speeding are all examples of offences that will bump up the number of points you receive. You only need 2 additional points on top of a BrAC 0.15 mg/L charge to guarantee revocation of your license for at least a year. Any 酒気帯び運転 charge of a BrAC above 0.25 mg/L will mean immediate revocation of your driving privileges for at least 2 years. According to that formula, here's one rule of thumb: For an average 65 kg person, one 350 ml can of beer contains enough alcohol to exceed the minimum BAC needed for a 酒気帯び運転 charge in Japan. Now, even though sixty-five kilos is a pretty realistic weight for an average adult male in Japan, to us fatty Americans, 65 kg sounds like a featherweight. But if that has you thinking you'd risk nothing to pop a can of light beer before driving home, don't hold your breath--literally. We've yet to talk about the other drunk driving charge: 酒酔い運転. The evaluation of your ability to drive can be made by the officer according to your speech, actions, responsiveness to questions, ability to perform simple tasks, etc. To ensure equal treatment of drivers, police departments use internal, predefined criteria when making these evaluations. Beyond your license status, both 酒気帯び運転 and 酒酔い運転 carry considerable fines and potential jail time. Penalties are on the order of 500,000 yen to 1,000,000 yen (USD $5,000 to $10,000) or 3 to 5 years of incarceration. Again, this is the penalty just for drunk driving. If you break any other driving laws, or if you hit another person or another person's property, separate penalties will be assessed and you will have to pay damages to the affected individuals. Your auto insurance (任意保険, nin'i hoken) is obligated to help out the people you harm, but they are not obligated to (and usually will not) cover you for damage sustained to yourself, your car, or your passengers. Refusing to take a breathalyzer test, by the way, is subject to a penalty of 500,000 yen or up to 3 months imprisonment. If you have not consumed any alcohol and simply refuse to cooperate with a breath test, you can be charged. If you refuse to take the test and the police still question your ability to drive, you could be charged with the more serious 酒酔い運転 anyway. Japan's stance on drunk driving is clear: Don't do it. And the stiff penalties appear to yield results: Compared to over 26,000 accidents involving drunk drivers reported nationwide in 2000, there were less than 6,000 of such accidents in 2009. In upcoming weeks, we'll be looking at some other driving-related topics. *BAC and BrAC are essentially disparate; BrAC is only a somewhat accurate measure of BAC, the statistic that really matters, but it is used more in practice because it is easy to test for with breathalyzers. 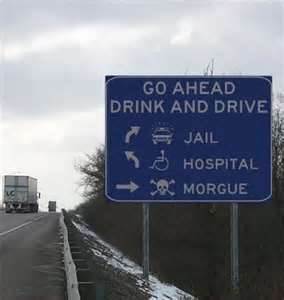 In the US and UK, the legal baseline for drunk driving is 0.08%, more than twice the leeway granted to Japanese drivers. Maybe the absolute blood levels are strict, but how often are drivers actually tested in Japan? And how much of the discretionary evaluation is done for gaijin and other undesirables? Thanks for the comment. I can't provide an exhaustive answer to either of your questions, but Dan's article (linked at top) about "kenmon" is a good example of when you might be randomly tested for BrAC. However, in many cases I would assume that these charges are applied to drivers who have been pulled over for some other driving infraction, then found to be intoxicated, the same way that police in the US look for telltale signs like lane swerving or unused headlights. 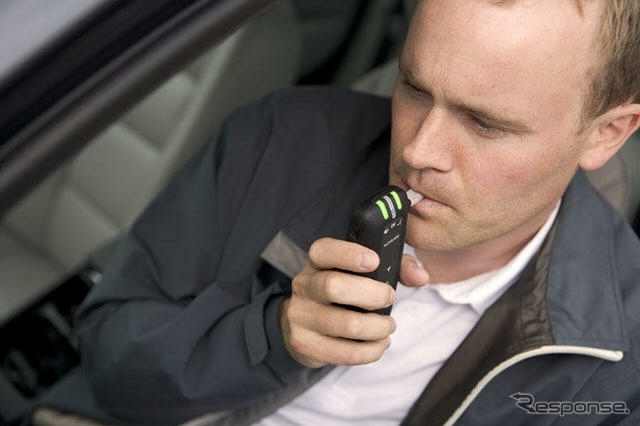 As in other countries, Japanese police carry breathalyzers and use them when a driver is suspect. Aside from the statistics I mention inline, search terms like "飲酒運転違反 2012" yield interesting results on regional and national levels, including annual reports by the National Police Agency. Finally, though highly speculative, I would guess that the breathalyzer is if anything more quickly procured in cases of suspects who cannot or refuse to speak Japanese. ...reports that in 2005, there were 139,918 nationwide charges of 酒気帯び, but only 1,675 charges of 酒酔い, implying that the police are vigilant for drunk drivers (many more drunk driving charges are made than drunk driving accidents reported) and that the more serious 酒酔い charge is employed far less often than the breathalyzer-based 酒気帯び charge. A few people asked about Japan's drunk bicycling laws. In short, it carries a lot of legal risk. From what I've read, Japan offers a legal cushion for drunk drivers and others charged with traffic violations that do not result in an accident; in effect, the violation counts against your eligibility to hold a driver's license before it counts against your criminal record. So, a violation like this may result in license suspension or revocation and a heavy fine, but as long as the fine gets paid, it need not lead to a criminal conviction, jail time, or a permanent criminal history. However, this cushion does not apply to drunk cyclists, because operating a bicycle does not require any kind of license. If you are charged with 酒気帯び運転 or 酒酔い運転 while operating a bicycle (and you can be charged, as a bicycle is classified under Japanese traffic law as a "kei" vehicle, in the same class as mopeds and small cars), the charge immediately leads to a court hearing and conviction. Though jail time could be avoided by paying a fine for each individual charge, the convictions would remain on your criminal record. Three convictions, whether all from drunk cycling or from other criminal offences, result in imprisonment without exception. Therefore, police are somewhat hesitant to write tickets to drunk cyclists who've been caught simply for being drunk; they realize the gravity of the charge and, from what I understand, tend to just chew the cyclist out instead. This point is moot, however, if you get into an accident while riding a bicycle drunk and police are called to the scene; you can expect that your level of intoxication will be assessed and that you will be charged accordingly. does japan have the most punishment for drinking and driving then any country.